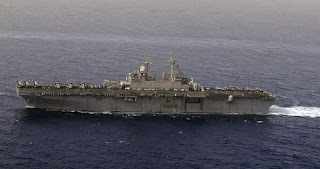 WASHINGTON (AFP) – A US warship with hundreds of Marines on board headed towards Libya on Tuesday, defense officials said, as US and European allies sought to pile pressure on embattled leader Moamer Khadafi. 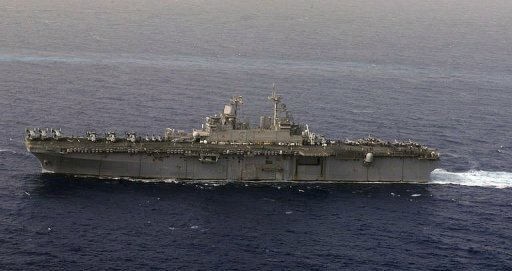 The USS Kearsarge, an amphibious assault ship accompanied by two other naval vessels, was expected to pass through the Suez Canal soon from the Red Sea, two officials, who spoke on condition of anonymity, told AFP. “We’re certainly moving assets to be closer (to Libya),” one of the defense officials said. The Kearsarge amphibious ready group, with about 800 marines, a fleet of helicopters and medical facilities, could support humanitarian efforts as well as military operations. WASHINGTON (AFP) – Enforcing a no-fly zone over Libya would first require bombing the north African nation’s air defense systems, top US commander General James Mattis warned Tuesday. 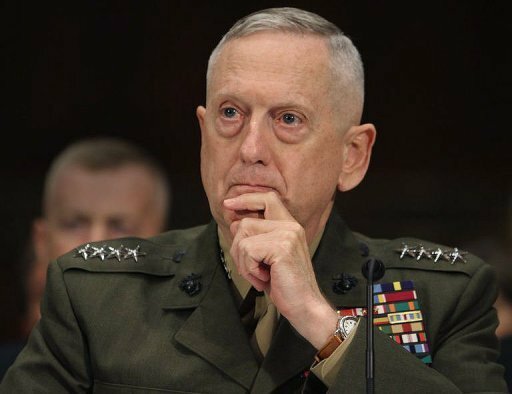 A no-fly zone would require removing “the air defense capability first,” Mattis, the head of Central Command, told a Senate hearing. “It would be a military operation,” the general said. The United States and its allies are weighing possible military action, including a no-fly zone, to stop Libya’s Moamer Kadhafi from using his forces to crush mounting opposition.